Funky and coquettish earrings are a young girl’s accessory. You do not need to go shopping for them. Just get your creative cap on and make your own with these easy steps. Now rub your hands and prepare your spell. 1. The earrings in this tutorials measure six inches but you can customize yours and make them any length. Measure a twelve-inch on the duct tape and fold over to make a six-inch non-sticky strip. 2. Draw or stencil a feather outline on the strip and trim it. Nick along the sides of the feather at an angle. This will create the feathered look. Trim off some slim triangles here and there to create the gathering of feather fur. 3. Curl the feather a little to give it a realistic look. Pry a tiny hole at the end of the vane and slip your threader string through. Slip it through your earring hook and twist it close with needle pliers. You can also entwine the threader with a bit of the feather. You will not have to make a hole but the rest of the procedure is the same. 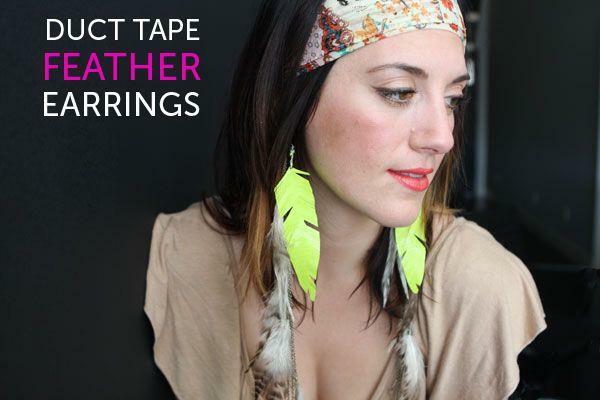 Your Indian style feather duct tape earrings are ready to impress. 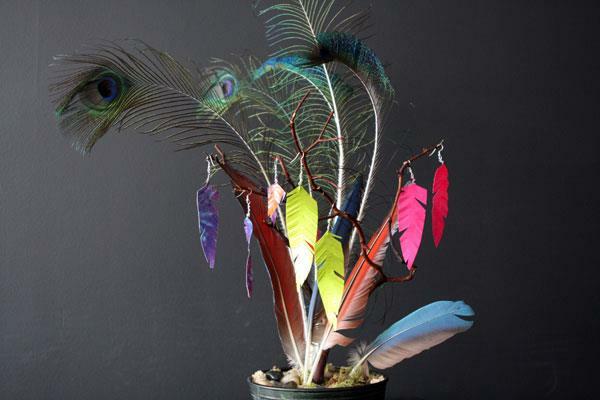 The variations you can go for is making two toned feather earrings or dangling several feathers from the same hook. These earrings make excellent gift items for your girlfriends.